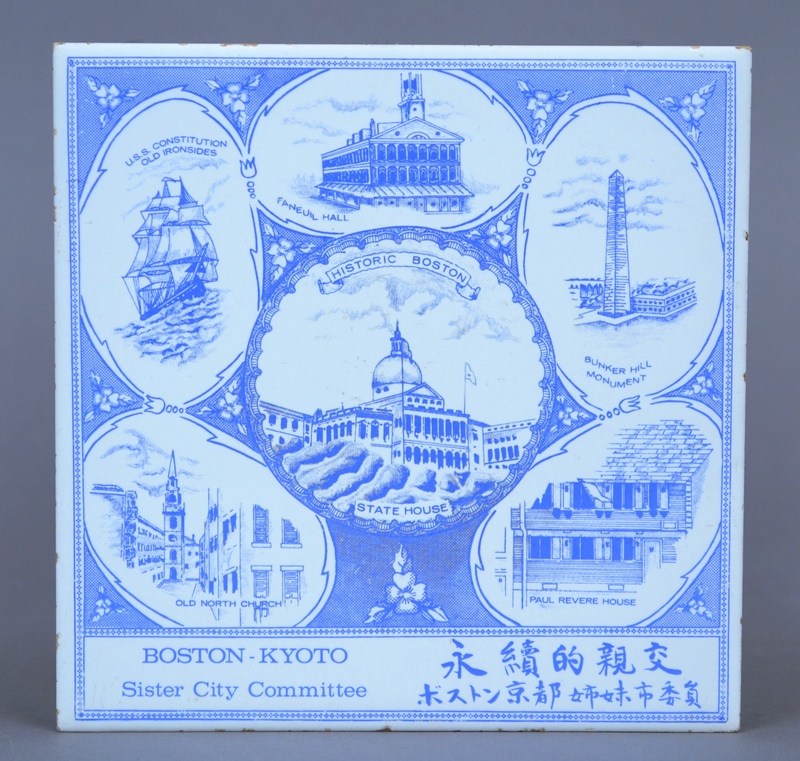 Explore key moments in the history of teaching and learning about Japan at Boston Children’s Museum and about the installation of the Kyo no Machiya inside the Museum. Sondra Castile of the Metropolitan Museum’s Asian Art Conservation department leads a demonstration of fusuma (sliding panels) repair as part of the celebration of the 20th anniversary of The Japanese House. Boston and Kyoto celebrated their 40th anniversary as sister cities with several events around Boston, including a reception at the Parkman House hosted by Mayor Thomas M. Menino, tea ceremony and fall foliage viewing at the Arnold Arboretum, and a festival of Kyoto arts at BCM. 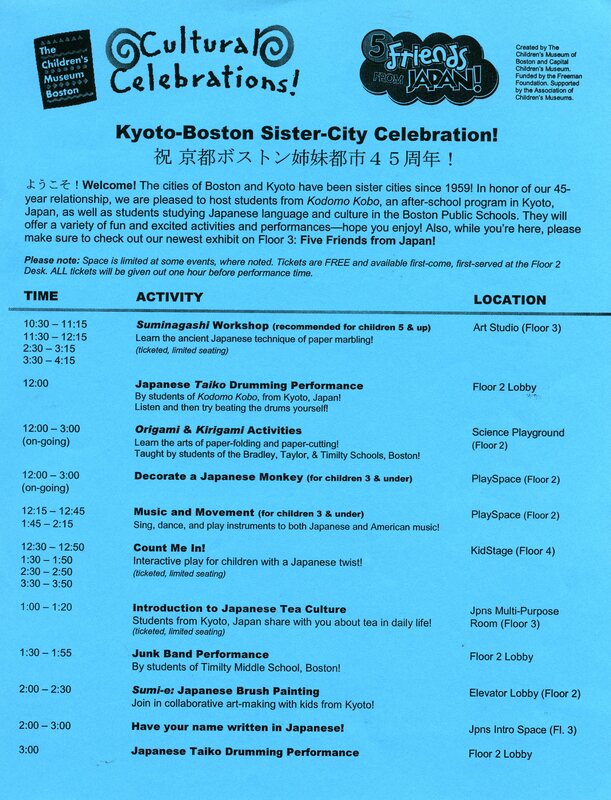 The Boston Children's Museum celebrated the 45th anniversary of the Boston-Kyoto Sister Cities Relationship with special programs, including an introduction to the Japanese tea ceremony and a taiko drum performance. 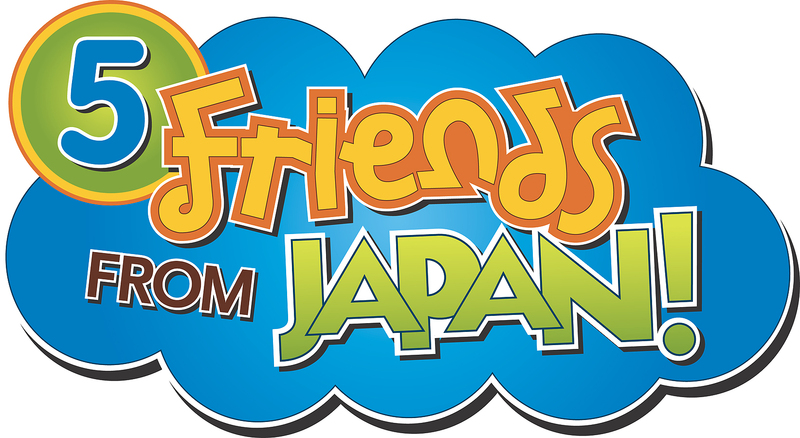 Five Friends from Japan: Children in Japan Today opened in 2004. Designed to entertain and educate by highlighting similarities and differences between Japan and the United States, the exhibit explored the diverse lives of five elementary school-aged children in Japan. A group of 25 artisans from the Kenko Tatami Assocaition, the Japanese national organization of tatami makers, came to restore the tatami mats in The Japanese House. Over a period of two days, the group replaced the top covering of the tatami, donating specially made covers for the Museum that are extra durable to support the high volume of foot traffic. 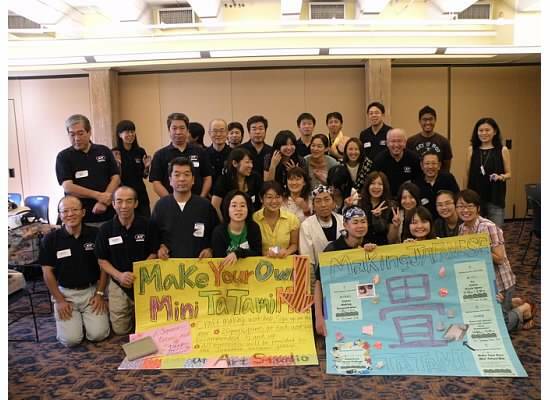 The artisans also held tatami-making demonstrations for BCM visitors and assisted at several workshops, including miniature tatami mat making, tatami puzzle games, and Igusa-reed collages. 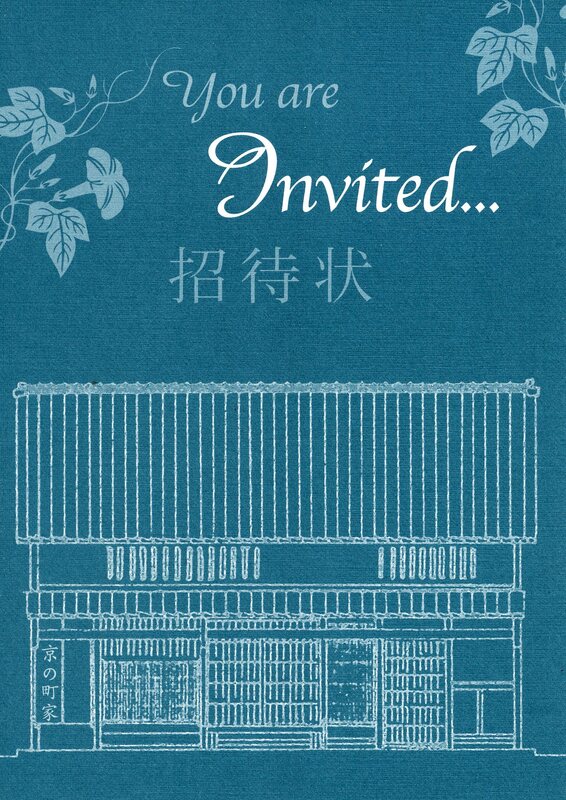 In April of 2009, the artisan Shinji Hashimoto of Hashimoto Kogando Inc. was brought to The Japanese House to repair our sliding fusuma doors over a period of three days. Hashimoto added paper layers and repaired the edges. He also led workshops in which visitors had the opportunity to help apply glue and watch him at work. 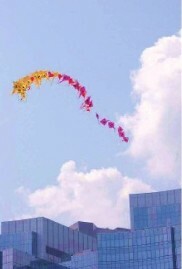 Kites fly over Fort Point Channel in celebration of the 50th anniversary of the sister city relationship between Kyoto and Boston. 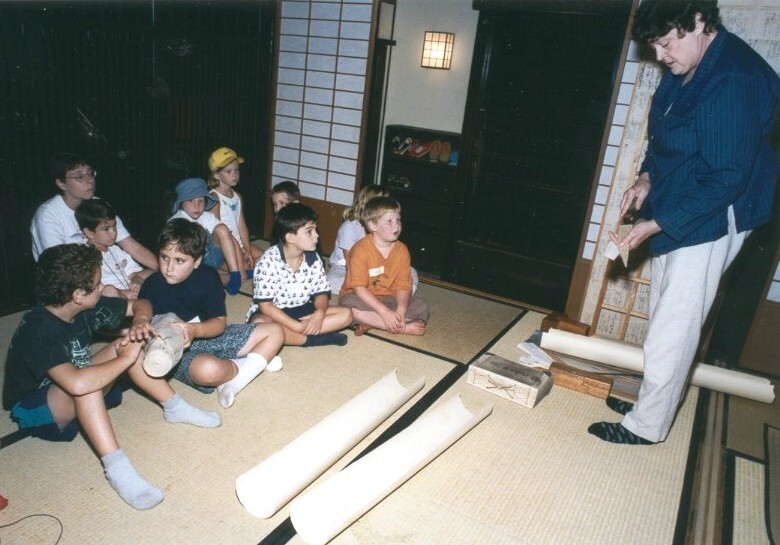 In the half-century since the first delegation from Kyoto brought with them The Tea House, hundreds of thousands of children have been introduced to the splendors of Japan through the gift from Kyoto so ably managed by Boston Children’s Museum. Additional 50th anniversary of the Boston-Kyoto Sister Cities Relationship celebrations included a reception in The Japanese House honoring Mayor Daisaku Kadokawa of Kyoto. In 2010, the MFA brought the artisan and conservator Wakiya Sukesaku to work with their Japanese art collection. While working there, he volunteered to fix the shoji at the Kyo no Machiya, coming to the BCM in June and September to complete all the shoji from both the upstairs and the downstairs. His repairs included fixing the wooden frames and replacing the washi paper, using the traditional technique of staggering smaller pieces of paper rather than applying one large sheet of paper as is more common today. As part of its 100th anniversary celebration, BCM is launching this website to share the wonder of The Japanese House with visitors around the world.